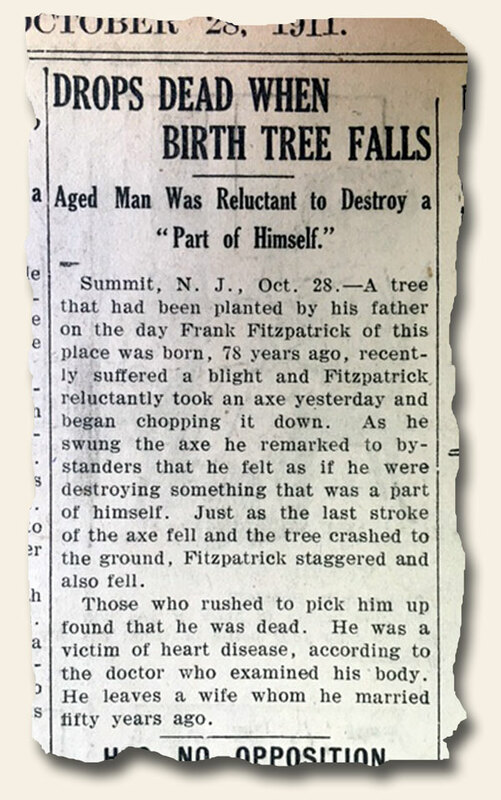 Mark Twain is credited with posing: ““Truth is stranger than fiction, but it is because Fiction is obliged to stick to possibilities; Truth isn’t.” If a report our staff discovered on the back page of a Fitchburg Sentinel for October 28, 1911  is any indication… score one for Mr. Twain. View the photo below to see if you agree.